Dieser Beitrag wurde unter ACM SIGGRAPH, News abgelegt am Dienstag, den 10. November 2015 von Abdon. 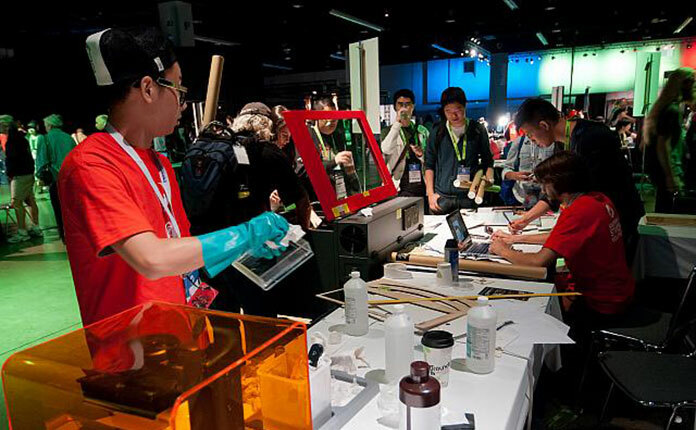 The SIGGRAPH CONFERENCE AND EXHIBITION is a five-day interdisciplinary educational experience that is widely recognized as the most prestigious forum for the publication of computer graphics research. In addition to a leading-edge technical program, the conference’s installations provide close-up views of the latest in digital art, emerging technologies, and hands-on opportunities for creative collaboration. Through production sessions, courses, presentations and networking events, you’ll learn from the world’s leading experts in computer graphics and interactive techniques. Direct, real-time access to the latest theories, the coolest technologies, and the wisdom of thousands of colleagues and collaborators. Hear from experts who are developing new, fresh ideas and using emerging technologies. Cutting edge thinking is part of what drives conference presentations and exhibits. See, hear, and touch demos from the most technically advanced minds in computer graphics and interactive techniques. With a breadth of programs and events, you can create a conference experience that’s exclusively yours. Connect with people from everywhere in the world who share your joy in the power of art and science. Interact with artists, researchers, educators, developers, animators, makers, and pioneers in computer graphics and interactive techniques. Are you ready to embark on your own crossroads of discovery? Join us in Los Angeles, 9-13 August 2015! REGISTER TODAY. Dieser Beitrag wurde unter ACM SIGGRAPH, News abgelegt am Freitag, den 3. April 2015 von Abdon. …nicht nur formeltriefende Publikationen und Technologie Nerds – hier ist auch Platz für Kreativität und Kunst. 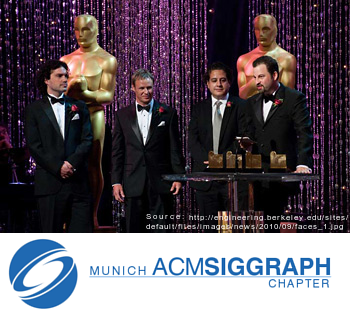 Dieser Beitrag wurde unter ACM SIGGRAPH, ACM SIGGRAPH Munich, News abgelegt am Donnerstag, den 14. August 2014 von Abdon. Dieser Beitrag wurde unter ACM SIGGRAPH, News abgelegt am Samstag, den 31. Mai 2014 von Abdon.